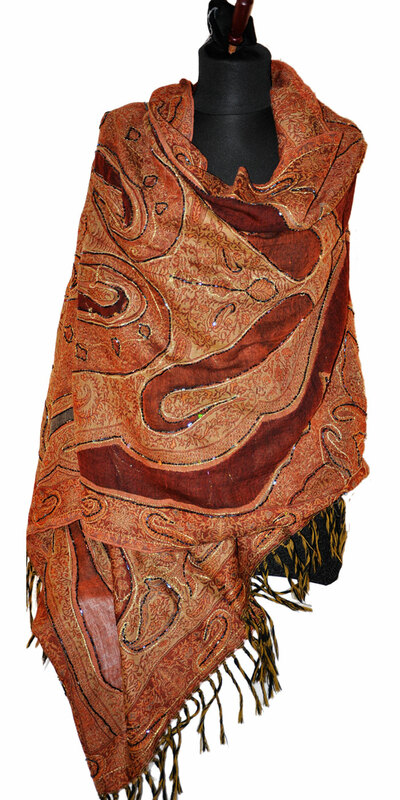 Add timeless luxury to your wardrobe with this stunning 100% Wool Jamawar handwoven shawl. This eye catching piece speaks for itself in beautiful brown/burgundy/orange earth tones with swirling Kashmir Mughal Paisley and Floral Motifs accented with incredible beadwork. Since no two pieces are alike, these shawls also make luxurious heirlooms.